People Junction’s WordPress website is live. 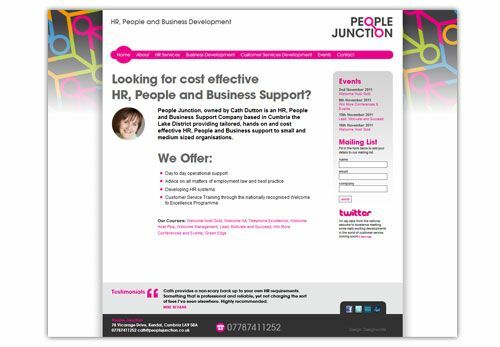 People Junction, owned by Cath Dutton, is a HR, People and Business Support Company providing tailored, hands on and cost effective support to small and medium sized organisations. Cath required a user-friendly content management system to keep her events and site up-to-date. As well as content management, the WordPress software assists with the mailing list management and utilises two WordPress plugins for a calendar and Twitter feed.